Carabiner shaped retractable card holders with a metal carabiner hook and are available either as unprinted retractable card holders or we can customize them with a printed logo. These card holders can either be sold and attached by themselves or we can combine them with one of our printed lanyards and attach to the base of a lanyard. 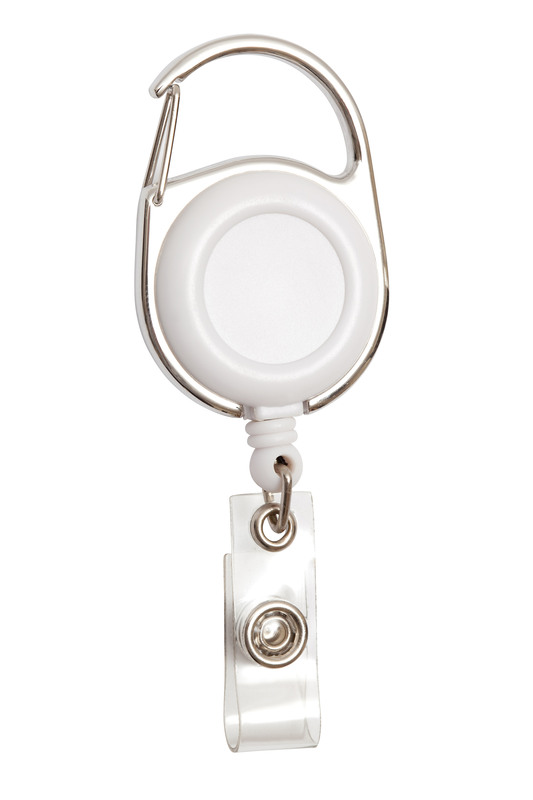 Perfect for security ID's, they feature a nylon pull cord that self retracts when released inside a plastic housing with a metal carabiner surround.